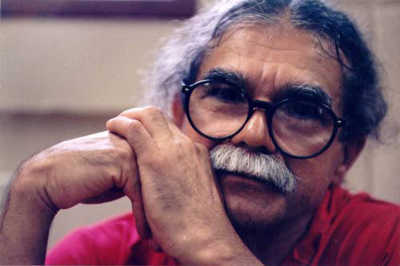 Today marks 32 years that Puerto Rican political prisoner Oscar Lopez Rivera has spent in U.S. prison for his involvement in the struggle for Puerto Rican independence. In 1980, 11 men and women involved with the movement for Puerto Rican independence were arrested and subsequently charged with “Seditious conspiracy to oppose the legitimate authority of the United States government in Puerto Rico by force.” At the time, Oscar was not arrested but was named as a co-defendant in the indictment. Oscar’s co-defendants were tried in Illinois and sentenced to federal prison terms ranging from 55 to 90 years. On May 29, 1981, Oscar was arrested and subjected to nearly identical charges. He was tried in federal court in Illinois, convicted, and sentenced to 55 years in federal prison. By contrast, the average federal sentence for murder that year was 10.3 years, demonstrating that the sentences were disproportionate and meant to penalize the independentistas for their political identity and activity, not for their alleged offenses. At another trial in 1983, three other independentistas were convicted of seditious conspiracy and faced similar sentences. Subsequently, Oscar was convicted for conspiracy to escape for a plot conceived and carried out by government agents and informants acting as provocateurs that resulted in an additional sentence of 15 years. Oscar along with a number of the other defendants were represented by attorneys from People’s Law Office and the National Lawyers Guild who were deeply inspired by their commitment e to liberating their people and their homeland. Oscar’s projected release date is in 2023, at which point he will be 80 years old. Having served more than 30 years behind bars, he is one of the longest held political prisoners in the history of Puerto Rico. Due to his drastic sentence and the fact that his incarceration is punitive and politically-motivated, there are compelling reasons for Oscar’s release. As a result, there is a massive movement among Puerto Ricans on the island and in their communities here in the U.S. calling on President Obama to free Oscar. This movement has united groups from the Puerto Rico Bar Association to the Ecumenical and Interreligious Coalition of Puerto Rico (which includes every religious denomination) to elected officials across party lines, including many who support statehood, like the Resident Commissioner, Honorable Pedro Pierluisi, who represents the almost 4 million people of Puerto Rico in the U.S. Congress. Today, a mock jail cell has been constructed in downtown San Juan, Puerto Rico to mark the anniversary. All day today, prominent Puerto Ricans will be spending an hour in the cell as a gesture of solidarity with Oscar and to bring attention to his prolonged incarceration. The list of prominent personalities is impressive, including Puerto Rican mayors, senators, writers, entertainers and priests. In addition, Oscar has received wide international support, including Nobel Peace Prize winners, members of the U.S. House of Representatives and other elected representatives, along with civic and religious leaders throughout the U.S. There is a clear historical precedent for Obama to release Oscar Lopez Rivera. In 1999, President Clinton commuted the sentences of 11 Puerto Rican political prisoners. At the time, Clinton offered Oscar the possibility of presidential commutation after serving 10 additional years with a clear disciplinary record. While encouraging his fellow political prisoners to take the offer, Oscar declined because it did not include all his co-defendants. In 2010, Oscar’s co-defendant Carlos Alberto Torres was paroled, making Oscar the sole remaining Puerto Rican political prisoner convicted as part of the seditious conspiracy indictments. Throughout his incarceration, Oscar has been represented by lawyers from the National Lawyers Guild who have advocated for him and continue to fight for his release. This representation is just one aspect of the Guild’s commitment to stand in solidarity with the people of Puerto Rico and the struggle for Puerto Rican autonomy from U.S. rule. For more information on Oscar, read “The Case of Oscar Lopez Rivera” written by Oscar’s lawyer and People’s Law Office attorney Jan Susler. This year’s NLG Law for the People Convention will take place in San Juan, Puerto Rico. Click here for more information.